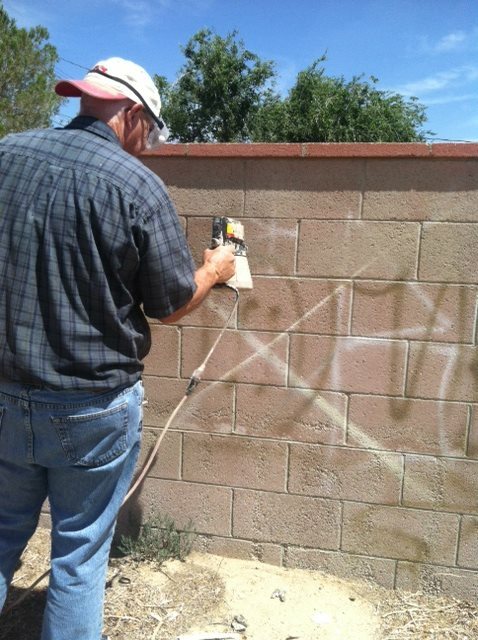 Local residents have formed our very own graffiti-removal task force, and the Mojave Foundation works with Kern County General Services to provide free paint and equipment to remove graffiti quickly and efficiently. If you see graffiti contact Leon Ryder at 661-221-2944. Click here to fill out the Graffiti Consent Form, which allows us to remove the graffiti for free; then take a picture of the completed form on your phone (in English or Spanish), and email it to Leon at LeRyder@Hotmail.com. As pretty as I think graffiti is, it is still major vandalism. Its sad that there are so many people who think that it’s okay to do it! I hope I don’t have to encounter it ever on my own property.